Moggenbrunn is a small farming village in north central Bavaria, located about 5 kilometers north of Coburg, and about 2 kilometers east of Meeder. The village has around 25 homes and farmsteads. 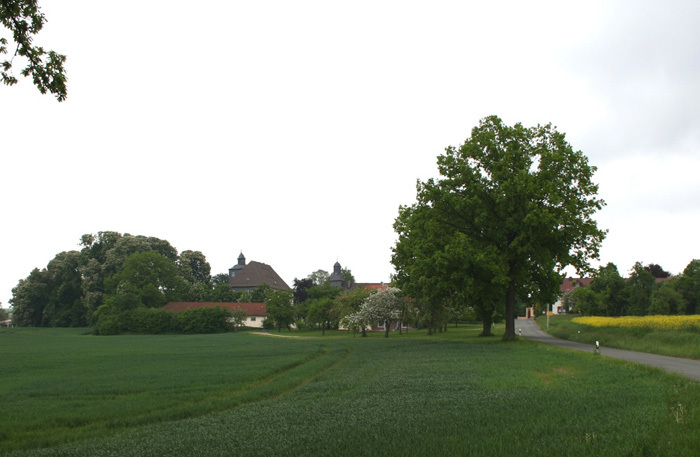 Surrounding the village are the farm fields, typical of small villages throughout Germany. 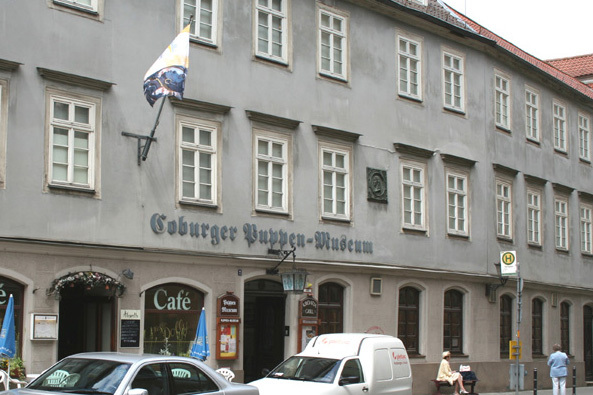 Undoubtedly, other residents commute to work in the nearby city of Coburg. 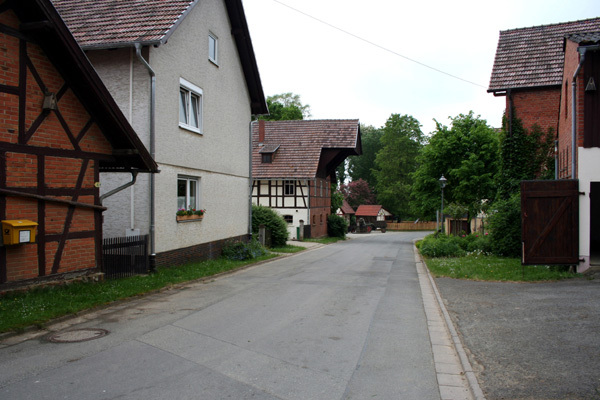 Moggenbrunn is part of the Gemeinde (Mayoralty) Meeder, the local governmental unit in Germany. 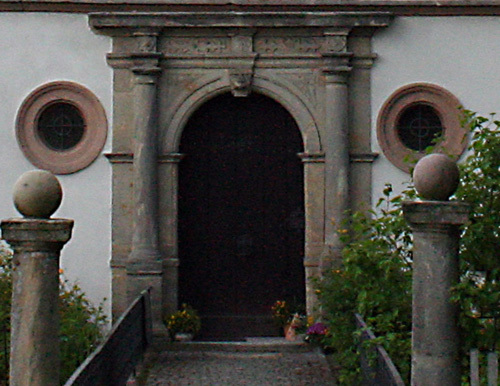 The Gemeinde's administrative offices are located in the village of Meeder, where we also find St. Lauretius Kirche, the church attended by the Faulring family. The Wasserschloss Moggenbrunn is located near the south edge of the village. 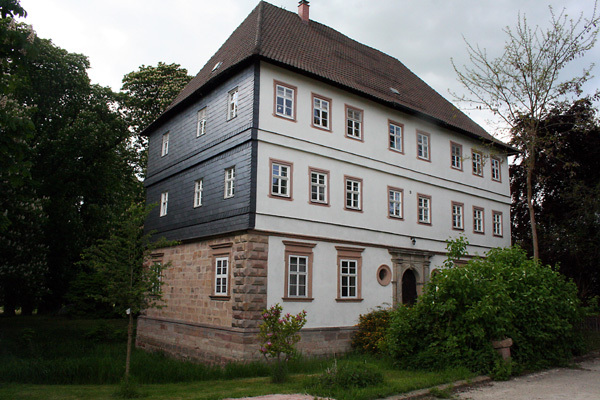 Built around 1550 as a small "castle" with a moat, it is now a private residence. 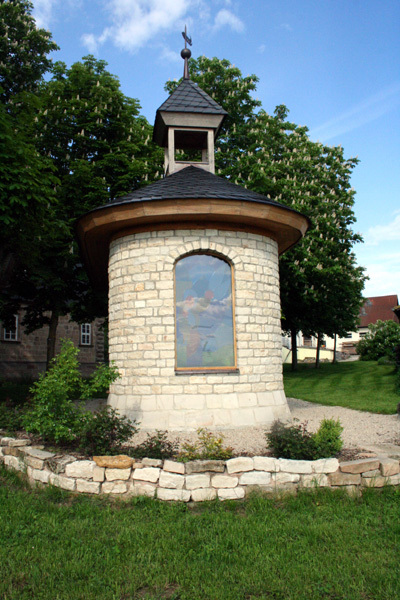 Another memorable sight in Moggenbrunn is the Schutzengel-Kapelle (Chapel of the Guardian Angel) built by the Eckardt family in thanks for the recovery of their daughter. She was severely injured in a car accident in 2005 and remained in a coma for about four years. Miraculously she awoke from the coma and the family gave thanks to God by building the chapel. 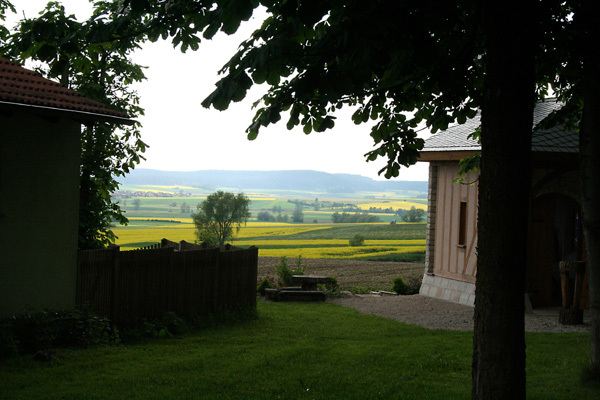 The Schutzengel-Kapelle sits on the edge of a farm field, giving it a lovely natural setting. 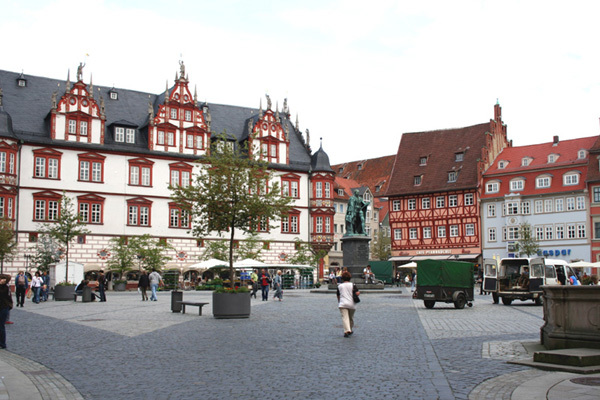 The Coburg City Square is a center of urban life; the site of many festivals and celebrations. 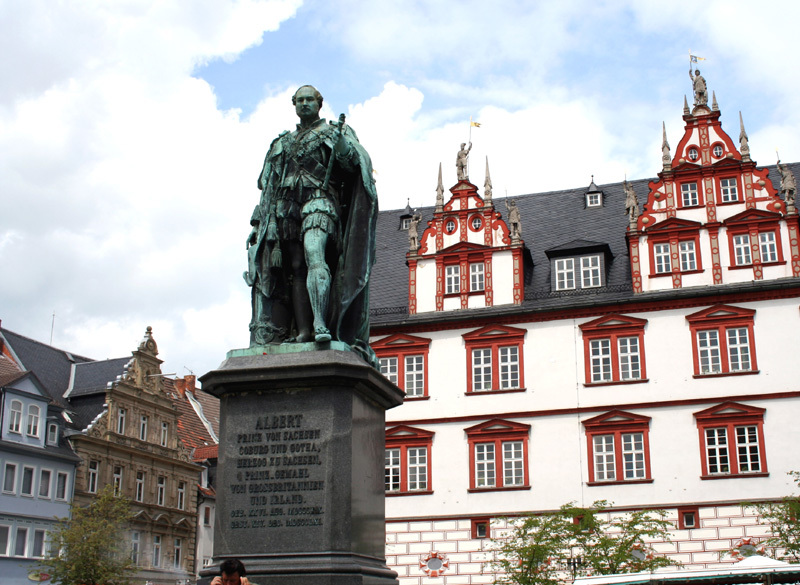 A life-size statue of Prince Albert, consort to Queen Victoria of England, dominates the middle of the square. Albert was a member of Ducal family of Saxony Coburg-Gotha before marrying Victoria. The sides of the square are lined with colorful buildings. 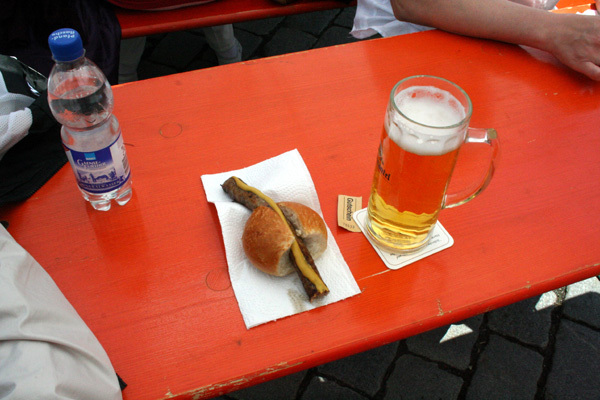 On a typically day several vender stands are found around the square, selling brats, sausages and hotdogs, or offering local beer. 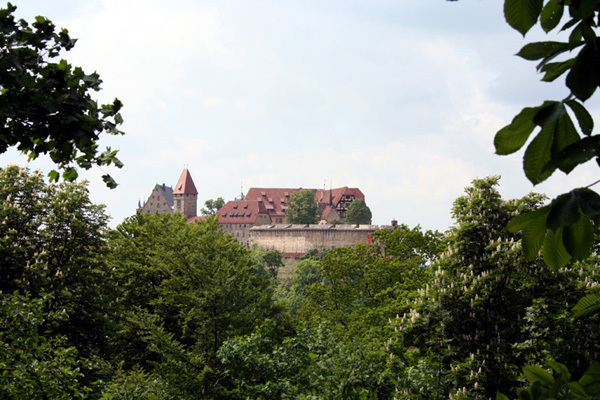 A prominent sight in the City of Coburg is the Veste Coburg (Coburg Fortress). Set on a hill on the east edge of the city, the Castle dominates the landscape. 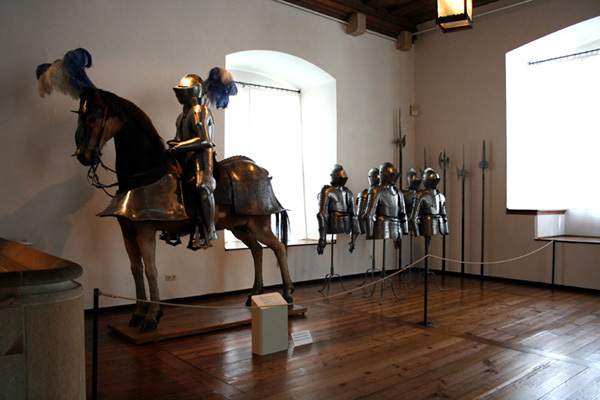 Once the home of the Dukes of Saxony Coburg-Gotha, the Veste's many rooms now house a museum containing paintings and other art objects owned by the dukes and collections of historical artifacts, including arms and armor. 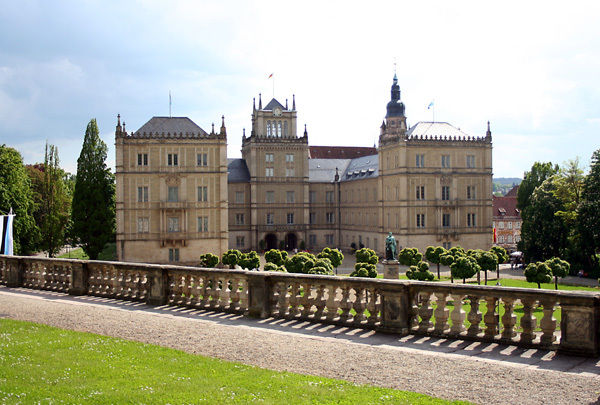 Built in 1543, Ehrenburg Palace was the residence of the Dukes of Saxony Coburg-Gotha. 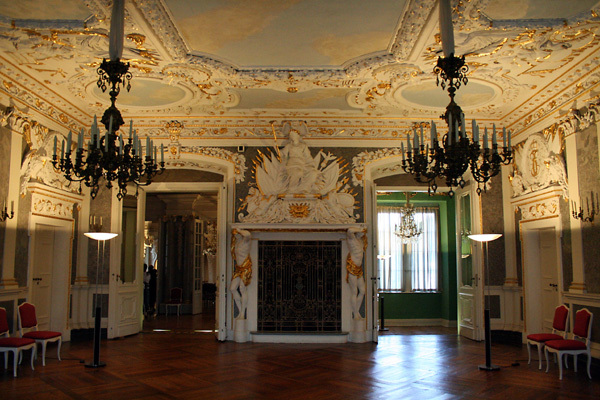 Today, it is a museum which displays the finery of the dukes. 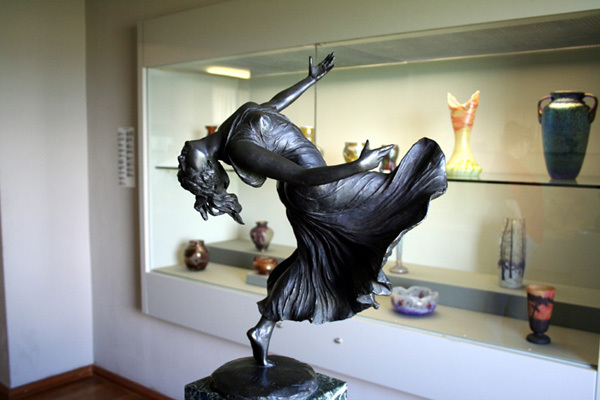 The Puppen Museum (Doll Museum), near the city square, has an extensive exhibit of dolls well worth viewing. 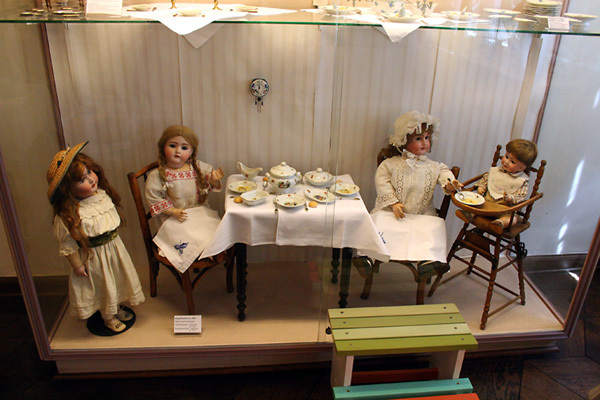 In addition, exhibits include miniature toys, dishes and other items appropriate to doll houses. 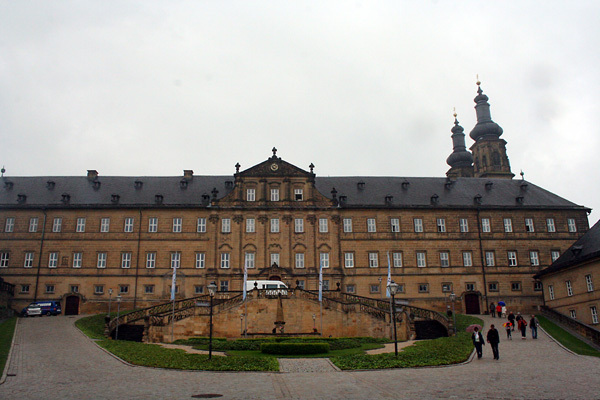 The Abbey at Banz, built around 1700, includes a wonderfully decorated sanctuary. 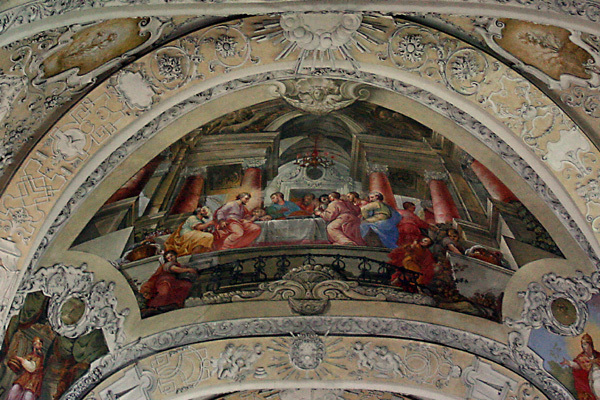 It's many frescoes, altars and statues rival those in churches throughout Europe. 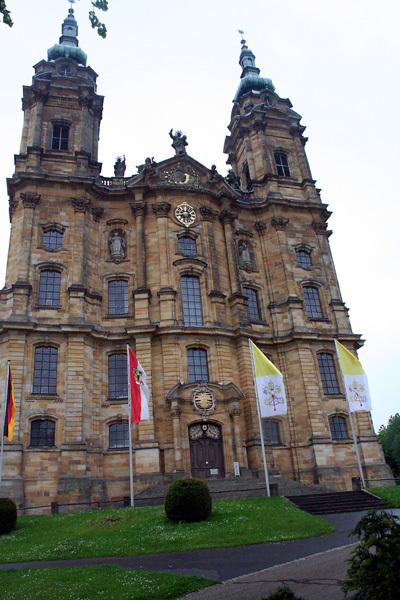 The Vierzehnheiligen Basilica was built on the spot where, in 1445, a boy appeared to Hermann Leicht, a young shepherd. 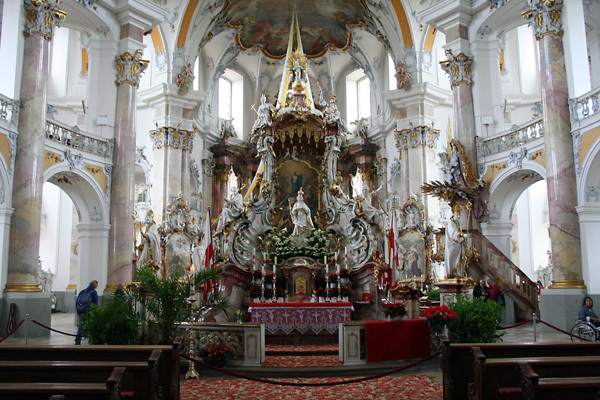 The church displays many colorful frescos, altars and statues. 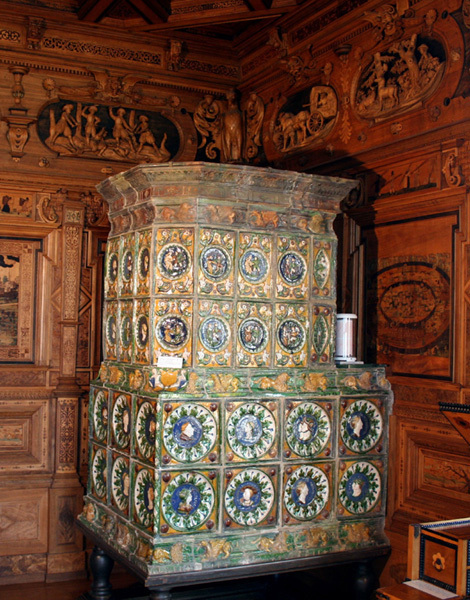 Its round, central altar is decorated with the images of fourteen saints. 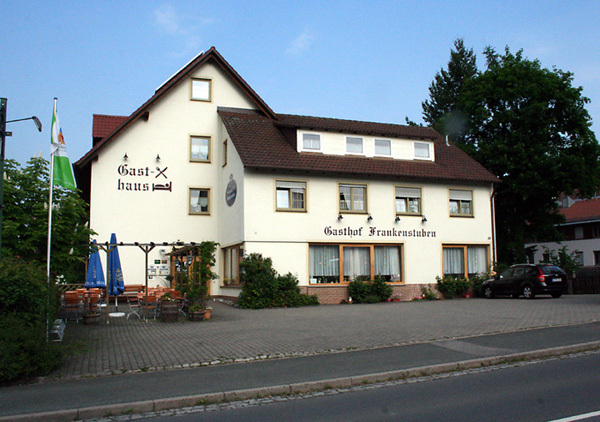 Located in the village of Ebern, about 30 kilometers south of Coburg, the Gasthof Frankenstuben offers neat, clean accommodations, at reasonable cost. The inn's restaurant serves a continental breakfast, which is included in the room rate. The chef, who is also an owner, is known in the area for his award winning cooking. Further information is available on their web site. 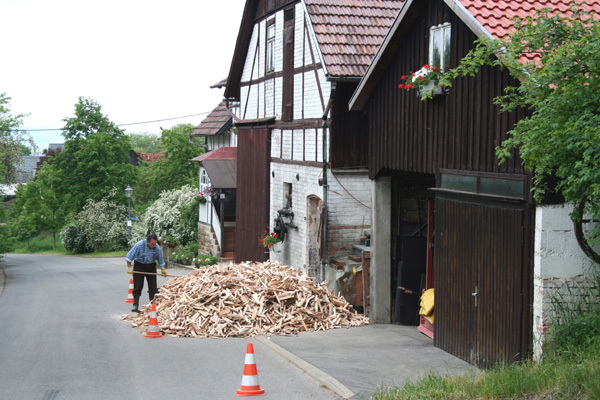 Ebern is also about 30 kilometers north of Bamberg, a well known tourist destination and a World Heritage site. 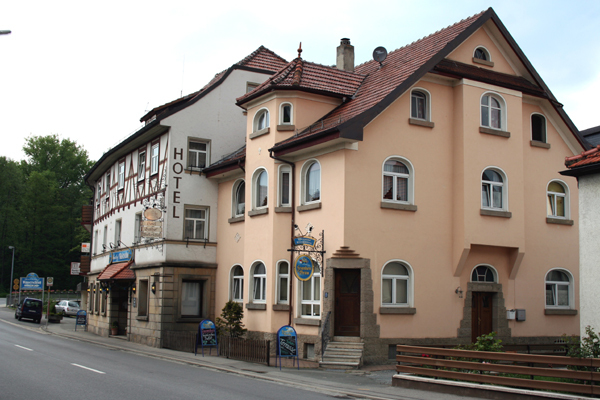 The Hotel Wasserschloss is located in the village of Mitwitz, about 25 kilometers east of Coburg. The hotel also offers neat, clean accommodations, at reasonable cost. An excellent continental breakfast is included in the room rate. Further information is available on their web site.